What’s trending this year in outdoor living? Have a look. Lighting is a “bright idea” for adding versatility to the outdoors, and is one of the most requested add-ons from homeowners during the deck planning process. Lafrance, an acclaimed professional deck contractor who designs and builds dozens of decks each season, recommends you steer clear from relying solely on garish corner spotlights, and instead install a mix of deck lighting features, such as riser lights incorporated into deck stairs and recessed deck lights—inserted directly into deck boards—for subtle dots of light to accent the deck’s design. "By choosing which outdoor elements to highlight, it’s easy to completely change the look of your outdoor living space without moving a single piece of furniture"
See what lighting can do for you. Even railing—long regarded for its ability to provide both safety and beauty to an outdoor space—has taken on a more functional role in today’s backyards. Trexpert Kate Campbell, also of HGTV’s “Decked Out,” points out that a growing trend is the “cocktail rail,” which provides a flat surface for you and your guests to place drinks, plates and decorative items. “By using a matching deck board to create a shelf for the top rail, you can achieve a look that perfectly complements your home’s deck, while making great use of space,” Campbell added. Trex® Signature™ railing is an ideal choice to achieve this look. Pair the popular aluminum railing with a deck board top rail and create a stylish, mixed-material look that is on-trend. While grilling and al fresco dining are longtime hallmarks of backyard entertaining, food prep spaces and the need for other cooking equipment often required a trip back inside—until now. Outdoor kitchens finally living up to their name, with fully appointed and fully integrated work stations outfitted with appliances, beautiful storage components and all the related conveniences. Among the newest advancements is outdoor cabinetry that blends interior style with durability to withstand the harshest outdoor elements. Functional components such as trash bins, ice chests and storage drawers eliminate the need for back-and-forth trips inside the home. This season, we’re also seeing the introduction of high-performance sink cabinets and grill bases to hide unsightly plumbing and gas hook-ups for a completely finished look. “From storing seat cushions to keeping drinks ice-cold, today’s outdoor kitchen accessories can make your outdoor space look as put-together as the rest of your home,” Lafrance says. Check out how to incorporate our beautiful and durable outdoor kitchens and cabinets into your space. With advancements in both equipment and storage, enjoying the big screen experience in the great outdoors has never been easier. “Electronics manufacturers have seized upon these latest functional outdoor living trends by offering televisions and entertainment equipment specifically designed for the outdoors, taking into consideration differences in lighting and outdoor acoustics,” Campbell says. New options from our outdoor kitchens and cabinetry collection include durable wall-mounted television and entertainment centers that beautifully conceal and protect electronics from the elements, while eliminating unsightly cordage. People are spending more time on their decks, but that doesn’t mean they want to put in extra hours in maintenance. Homeowners’ desire for comfort and functionality extends to the decking material itself. Wood alternatives, particularly wood-plastic composites such as Trex, are expected to experience above-average annual gains in demand through 2020. As the economy continues to rebound, analysts predict this segment of the decking industry will grow at a faster rate than traditional wood – and for good reason. Unlike wood, composite decking resists fading, staining, scratching and mold and won’t rot, warp, crack or splinter. No sanding, staining or painting is required, and food and drink spills wash off easily with just soap and water. 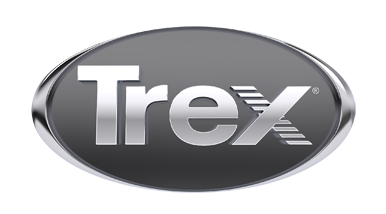 Additionally, Trex decking is made from 95 percent recycled materials, making it an environmentally friendly choice for eco-conscious consumers. The latest generation of composite decking also features high-definition wood grain patterns and rich, saturated colors that look and feel more natural than ever before. "When you consider both the beauty and the long-term benefits of high-performance composite decking, the case for using wood begins to quickly crumble." “When you consider both the beauty and the long-term benefits of high-performance composite decking, the case for using wood begins to quickly crumble," Lafrance says, "The combination of superior performance and stylish asthetics that Trex delivers simply can't be beat." Extending your vision from the inside of your home to your outdoor space has never been more doable – or beautiful. These five trends will help you go from having a bad case of deck envy to being 100% deck ready.